Four of the greatest legends of country music join together. 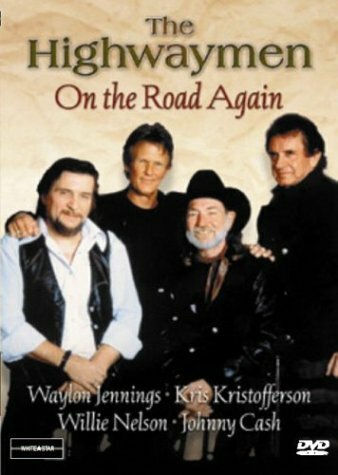 Johnny Cash sings Folsom Prison Blues, Willie Nelson performs Always on my Mind, Kris Kristofferson solos in Help me Make it Through the Night, and Waylon Jennings sings Luckenbach, Texas. Also includes Highwayman, Good Hearted Woman, Theme from Dukes of Hazzard, Loving Her Was Easy, Mamas Don't Let Your Sons Grow Up to be Cowboys, Are You Sure Hank Done it This Way, Me and Bobby McGhee, Get Rhythm, Crazy, Ghost Riders in the Sky, Angel Flying Too Close to the Ground, Big River, On the Road Again.. If you have any questions about this product by White Star, contact us by completing and submitting the form below. If you are looking for a specif part number, please include it with your message.